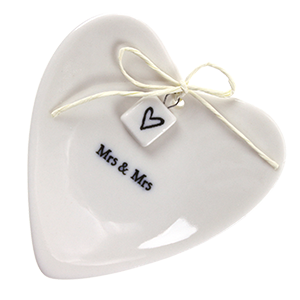 From mini Mr & Mrs ceramic bunting, perfect for a table centrepiece, to delightful boxed gifts for the happy couple, you can say ‘thank you’ and ‘I love you’ with many of these lovely products. 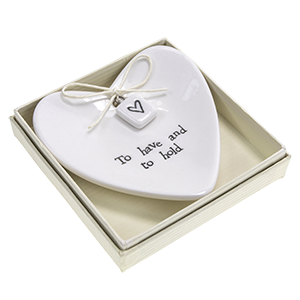 Our ceramic tags are the perfect addition to a special gift and with decorative, hanging hearts, dinky porcelain charms, ring dishes and boxed ceramic hearts the gift inside the wrapping may well be ceramic too! If you like our mugs and cups and saucers you may be interested to know Staffordshire has a rich history in ceramics and, as the world capital of ceramics, is affectionately known as ‘The Potteries’. Our ceramics are made and decorated in Staffordshire from fine bone china from our own designs. The beautiful silver and rose gold metallic elements are real gold and platinum. 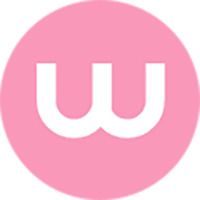 Our mugs and tea cups are supplied in attractive, contemporary packaging. Beautiful gifts and, the wedding themed cups and saucers and wedding paired mugs will make fabulous wedding keepsake gifts. The other porcelain gifts we offer in this department are perfect for little wedding gifts and Bridesmaid 'Thank You' gifts. The tiny ceramic charms make lovely additions to presents; choose the charm with the same initial letter as the recipients name and tie it on when you add the gift tag.